People are often so busy that they rarely take the time to even think about time for themselves. I know about this only too well, and even though I always try to make a conscious effort, life can just get in the way. As a work from home mum my life is basically a big balancing act, juggling my work load, being a mother, being a wife and all things in the home. Me time is rare, and when I do manage to get some time to myself I'm too tired to enjoy it and end up napping on the sofa before bedtime. So it's important for me to try different ways to make sure that my body and of course my hair don't suffer the consequences of a lack of me time. Who really has the time for a hair mask twice a week anyway? 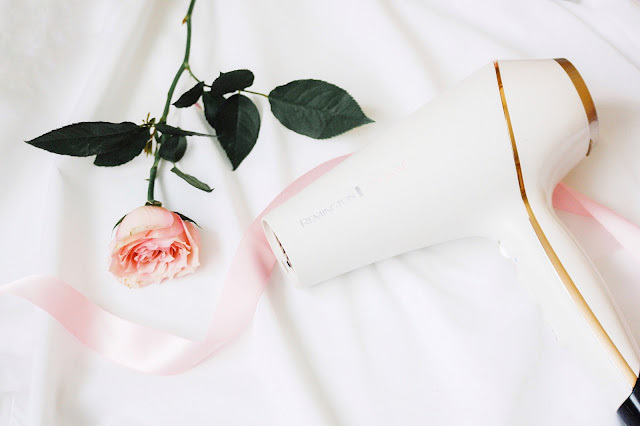 I wanted to share a new discovery I had made recently in the form of this gorgeous Remington PROluxe Salon Hair Dryer. It dries my hair quicker than anything has ever before and I need to tell you about it. The PROluxe Salon Hair Dryer in Rose Gold. First, can we take the time to appreciate it's beauty. Seriously how pretty is this hair dryer? I am sure you know that I have this thing about Rose Gold, being the magpie I am I was completely drawn to this pretty dryer. It's most definitely pleasing to the eye. I can't say I have ever had a hairdryer this colour before, so for the first few months I was very careful not wanting to damage or leave marks. The hair dryer has been designed to dry hair fast, with minimal damage. 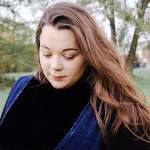 The PROluxe range was released a while ago but wasn't sure at first until someone with Instragram worthy hair encouraged me go in search of the range, after I did my hairdryer stopped working, so it was fate. I don't now about you, but when it comes to a hairdryer I love a powerful one. Mine old hairdryer was that powerful it would actually trip out the electrics at the in-laws, not good. But it was so powerful and would dry my hair in a matter of minutes. So when I look for a hairdryer there are certain specs that I tend to keep my eyes peeled for. The look, lightness, low noise and high speed ensuring drying as quickly and efficiently. And that's why the Remington Proluxe hair dryer is a perfect combination of professionalism and amazing functionality. With intelligent OPTIheat technology and the unique Style Shot feature, the PROluxe dryer cleverly uses heat to shape, sculpt, and lock your style in place. The ionic hairdryer is the key to frizz free shine, with 90% more ions working to smooth hair cuticles for a healthy looking and flawless finish. Nobody wants a crazy cave woman hairstyle. So if your hair is dry, damaged, or frizzy, an ionic hair dryer is the magic wand that will end all of your hair troubles. The ionic technology works by breaking down water molecules in your hair to speed up the drying time. The negative ions released by the dryer seal the cuticles and preserve the natural oils and moisture present in the hair shaft. A no-brainer. This is an incredible hair dryer, fast, easy to use, not heavy, easy to grip when going over hair sections. You don’t need to use the other accessories if I am honest, as the air flow in place helps dry the hair section leaving your hair smooth, frizz free and shiny. I cannot praise this hair dryer enough. Remington has produced an extremely powerful hairdryer where you can feel the strength of the airflow as it dries your hair. The two nozzles and diffuser included makes it simple to style your tresses as desired and the white and rose gold design means it looks good on your dressing table too. The heat and power settings are located on the front and rather than a cool shot, there’s a slider switch at the top that you can use to change the temperature to either hot or cold. It’s a slick hairdryer that takes minimal effort to use and achieve smooth and static-free hairstyles. The PROluxe hairdryer itself works brilliantly. It dries my hair quicker but seemingly with less heat. Only major disappointment is that the dryer scratches really easily. I store my hairdryer in a drawer on top on some liners to try and keep that to a minimum. It's such a shame because I loved the way it looked and I really want to buy the matching straighteners and wand but for a dryer itself. Even though this had put me off slightly this dryer certainly packs a punch. Have you heard of the PROluxe range? Or used any products from Remington? If so, what are your favourites?